How do I begin writing about Italy? When I was studying for the Court of Master Sommelier certified exams the country that intimidated me above all others was Italy. Many folks tell me it is France that they fear the most. But for me France was the easy one. France was always my favorite. The laws are so strict and consistent throughout most of the country that you just need to know the basic rules in each region and you’re set. It’s not that way in Italy. It seems that each major region has its own rules and guidelines. Not to mention there are hundreds of indigenous grapes to Italy, how can one begin to understand them all? In France, you would probably recognize the majority of the grapes grown there, as they are among the most famous in the world – but not so much in Italy. Fiano, Falanghina and Piedirosso are among the many grapes planted in addition to the more famous Pinot Grigio, Sangiovese, and Nebbiolo. In Italy, some wines are named after the region similar to France. Take Burgundy, for instance – a red Burgundy wine is named after the region of Burgundy, but contains primarily Pinot Noir grapes. In Italy some wines are like this. Take Barolo for example. Barolo is the wine named after the region of Barolo and is a red wine made from Nebbiolo grapes. 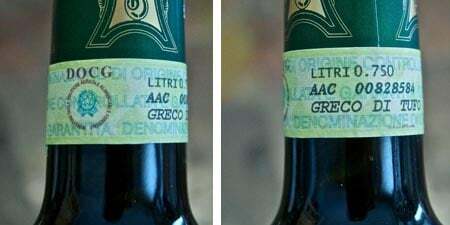 In other regions of Italy you may see the actual name of the actual grape on the label, like Pinot Grigio. There is little consistency from one region to the next. I’m sure you can understand my intimidation when it came to learning an entire country of wines and grapes when there is no easy way around it. So when I was offered the opportunity to explore two important (but overshadowed) regions of Italy I jumped at the opportunity. Just as the region of Burgundy France made little sense to me until I actually visited, walked the towns, and explored the vineyards, these two regions of Italy made little sense to me before this trip. Now I get it. I’ve met the people. I’ve walked the vineyards. I’ve eaten the food. I’ve seen the landscape. It makes much more sense to me. And I hope I can help shed some light on these regions to you too… assuming I was not the only one slightly confused by some of Italy’s laws, rules, and regulations regarding their wines. Please raise your hand if you’re out there! Though this may not be the most exciting post about my trip to Italy, I do hope it will give you a basic foundation of the wines so when I do write about them you will have a reference point. A place to say, “oh she is talking about xyz wine made from abc grapes from producer so and so”. I know it is something that would have helped me along the way in my own studies. 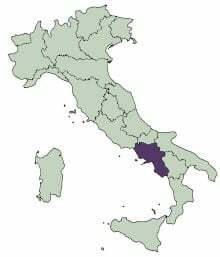 So here is a basic 101 on Italian wine laws, and a (very brief) intro the regions of Umbria and Campania. Consider this a basic guide, or preview, of these regions. We will go in depth with posts of specific wineries within these regions. It will be exciting I promise! Italian wine production is sectioned into two major categories – table wines and wines with a specific appellation of origin, with the latter subdivided into three specific categories, each with its own set of rules. This applies for the wines produced throughout the country. These designations are designed to give you, the consumer, information regarding the quality level of wines from those regions. You will see these initials on the wine labels. VDT (Table wines, or Vino de Tavola) – The lowest category of Italian wines with very little standards to the actual quality of the product. They are just as the name implies – basic table wines. You will not see many of these at your local wine stores in the US. IGT (Indicazione Geografica Tipica) – The next level up. These wines must meet certain criteria regarding area of production, grapes permitted, yield of grapes per hectare, etc, but much less strict than the next two levels. They are basic regional wines. DOC (Denominazione d’Origine Controllata – Controlled Appellation of Origin) – This level requires a strict and restrictive criteria including area of production, grapes permitted, maximum yields per hectare, minimum alcohol levels, specific vineyard practices (pruning, trellising systems), winemaking practices, and requirements for aging. DOCG (Denominazione d’Origine Controllata e Garantita – Controlled and Guaranteed Appellation of Origin) – These wines are considered the highest level and quality of Italian wines. This level incorporates all of the DOC rules, but also guarantees the quality of the wine. In addition, these wines must undergo laboratory/chemical testing and tasting examinations approved by the government. This same governing body also issues a numbered government seal located on the neck of the bottle (see picture below). 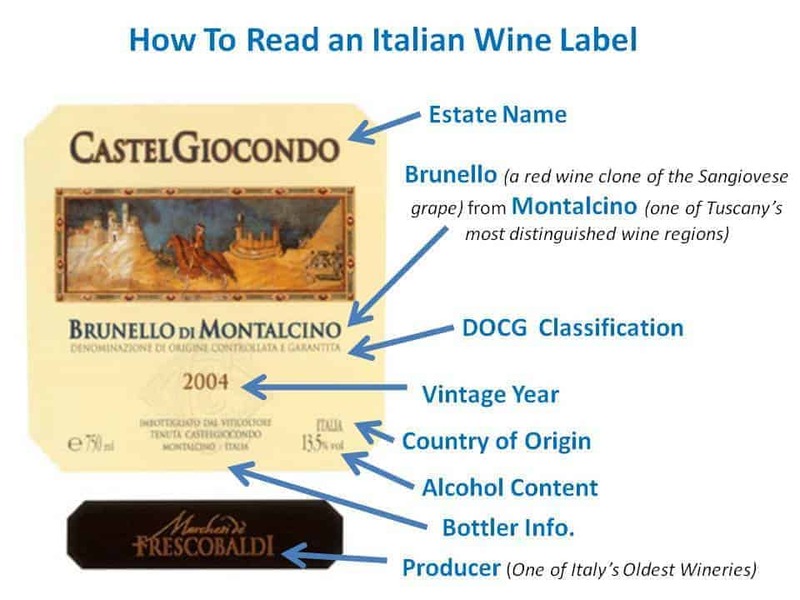 In order to prevent counterfeit or manipulation a producer is only given enough DOCG strips according to the amount of wines that have satisfied the required testing procedures and rules. So that you, the consumer, know that when you are buying a wine of DOC or DOCG status you know you are buying a wine that meets specific quality criteria. There are, of course, exceptions to every rule and law, and this does not necessarily mean that you will like the wine, but that they fit into a quality standard. No law like this is ever perfect, but with so many wines produced in the country it is nice to have a benchmark to assess quality as you begin to learn about the wines of each regions. Example of the government issued seal you will find on the neck of a DOCG level wine. Green strips for white wines, pink strips for red wines. The region located just south of Tuscany, and certainly overshadowed by it – known for art, history, great food and wine. Though they have been making wine for over 2,000 years, it is only in the last quarter century that they have been making quality wine commercially to compete worldwide. Orvieto DOC and Orvieto Classico – these wines are among the most well known and popular white wines in all of Italy, and also account for ¾ of wine produced in Umbria. Crisp bright wines produced in the town with the same name, they are made from blends of the following grapes: Trebbiano, Grechetto, along with Verdello, Drupeggio, and Malvasia. Orvieto is also one of the best places in Italy to produce sweet dessert wines made from noble rot grapes. There is also red wine made in Orvieto from Cabernet Sauvignon, Merlot, Sangiovese, but it is most famous for its whites. 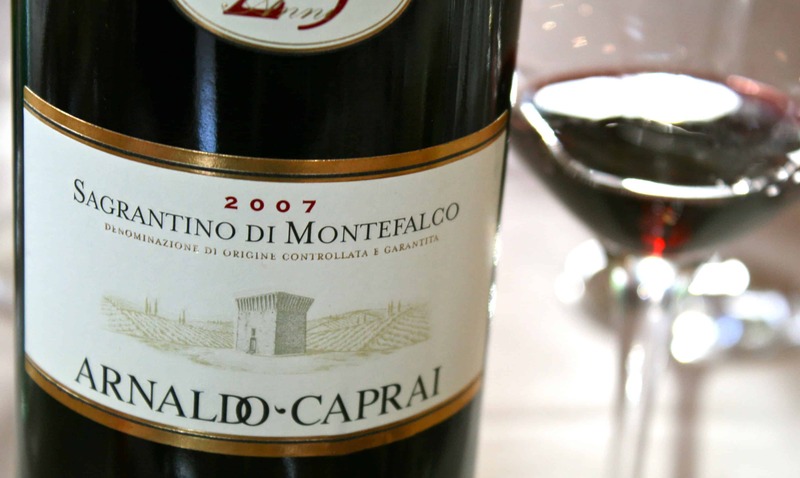 Sagrantino di Montefalco DOCG – referring to the grape, Sagrantino, made in the town of Montefalco. These tend to be powerful wines, big with bold tannins, made from Sagrantino grapes. Many of them proved to be age worthy – meaning that you could lay these puppies down for 10, 15, even 20 years and they will just keep getting better and better. There is also a Montefalco Rosso DOC made from Sangiovese and Sagrantino grapes. Torgiano Rosso Riserva DOCG – produced in the area surrounding Torgiano from Sangiovese, Canaiolo, Trebbiano, Ciliegiolo, and Montepulciano grapes and must be aged for at least three years prior to release by law. The wines are elegant, balanced and also very age worthy. There is also a Torgiano DOC producing both red and white wines. Other DOC wines include: Assisi DOC, Colli Altotiberini DOC, Colli Amerini DOC, Trasimeno DOC, Colli Martani DOC, Colli Perugini DOC, Lago di Corbara DOC, Montefalco DOC. 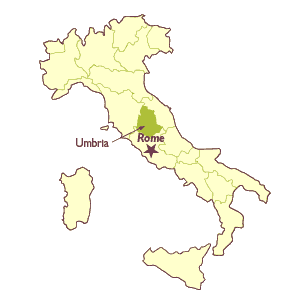 For a longer, more descriptive list of the important wines of Umbria please click here. Another wine producing region dating back thousands of years, making it one of Italy’s oldest wine producing regions. Located in southwestern Italy, near the boot, with Naples at the heart. Though Campania champions many interesting native grape varieties, over 100 in fact, the most important to know are the red Aglianico grape and white grapes Greco, Fiano, and Falanghina. The grapes get their flavor and personalities from being grown on volcanic soils near the still active volcano Mount Vesuvious. Before I went on this trip I thought I didn’t like Aglianico, the regions flagship red grape. I used to think they were uninteresting with fruit flavors that were too concentrated (like frozen concentrated juice before you add three cups of water). Clearly I was drinking the wrong Aglianico because the wines I had on the trip proved me wrong. Very wrong. Currently Campania has three DOCG appellations – Fiano di Avellino DOCG (made from Fiano grapes), Greco di Tufo DOCG (made from grapes of the same name), and Taurasi DOCG (the most famous wine of the region, made from Aglianico grapes). Another eighteen are DOC, and nine IGT wines. Hopefully this can provide as a base to refer to as I go into more depth on the wines of these two regions. Next comes the fun part… the stories of the people, the wines, and the pictures! Ciao Mary. Well done and so glad to hear you had a nice experience on your trip to Italy. One thing that I would make a bit more clear is in distinguishing between DOC and DOCG, they do not both require the same tasting examinations in order to achieve DOC/DOCG status. For DOCG it is a tasting by the governing body to make sure the wine has typicity of the region whereas for DOC, there is really no requirement that the wine gets tasted. Also for DOCG, that same government body that tastes, after concluding the wine passes muster, hands out the numbered DOCG pink strips that get applied to the neck of the bottle. This makes sure you can’t produce more wine per hectare than legally allowed, as they only give you enough DOCG strips for the maximum number of bottles allowed to produce based on your vineyard holdings in the appellation. Of course, this being Italy, these guidelines can be different by region and there are probably many DOC regions that do sit down and taste all the wines submitted, but I don’t believe governmental agents would be part of that tasting, making it different than DOCG. I look forward to hearing more about your travels. Check out my new twitter account, IndigItaly, where I’ve started to delve in to the 1200+ remaining indigenous varietals under production in Italy and hope to share a little something about them all over time. I love that you started a twitter account to inform folks on all the hundreds of indigenous Italian grapes. I’m now following it. Hello Mary and Darryl!! Nice work, Mary! I was just in Piemonte, and your posts are making me want to visit the areas you’re writing about! Thanks for the informative and entertaining “report” on your trip! Sad, you can’t find a decent wine store to fulfill your Italian hankerings for wine. Thanks to you, too, Darryl, for the that clarification…I didn’t know that! What a wonderfully written and informative post! I love all things Italian yet have not yet studied the grapes/regions indepth. Like you, I think going there would help tremendously. In the meantime, your posts will be very helpful.